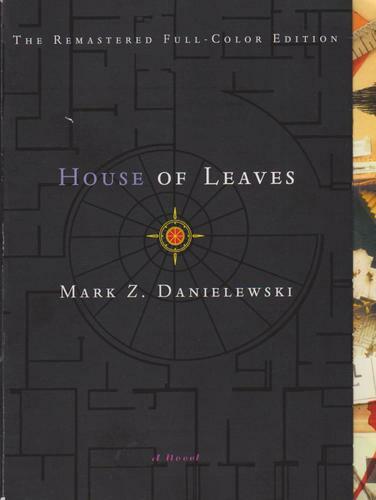 Mark Z. Danielewski’s first novel, House of Leaves, is a true original in an era when nothing seems new. The narrator, Johnny Truant, finds a manuscript written by a blind man about a long-lost documentary. So it’s your standard film inside of a manuscript inside of a book. The author uses a number of literary tricks to juggle multiple storylines, including a split page where one story is used as footnotes for the other (just like the old man [who wrote books, called] Nabakov). As the story of the film develops, we learn that a family moves into a new house where they discover a mystery — their house is bigger on the inside than it is on the outside. As the plot develops, your interest in one story fades and you find yourself flipping through pages to get to the good parts. Soon boxes with random architectural trivia pop up, notes are scribbled at odd angles, and the book becomes a 2-dimensional sculpture. It’s kind of AA Milnesque. But what could have been an artifice is used to further the story along and draw you in. You find yourself spinning the book to alternately read upside-down and right-side-up. You are completely, physically engrossed in this book. At one point when the explorers were utterly hopeless and lost, the narrative just dropped. I scanned through the footnotes and side notes and text boxes and as I spun the book and flipped pages I realized I was panicking. I was lost. 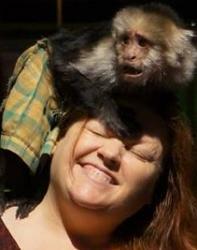 I just wish we figured out what the growling was!